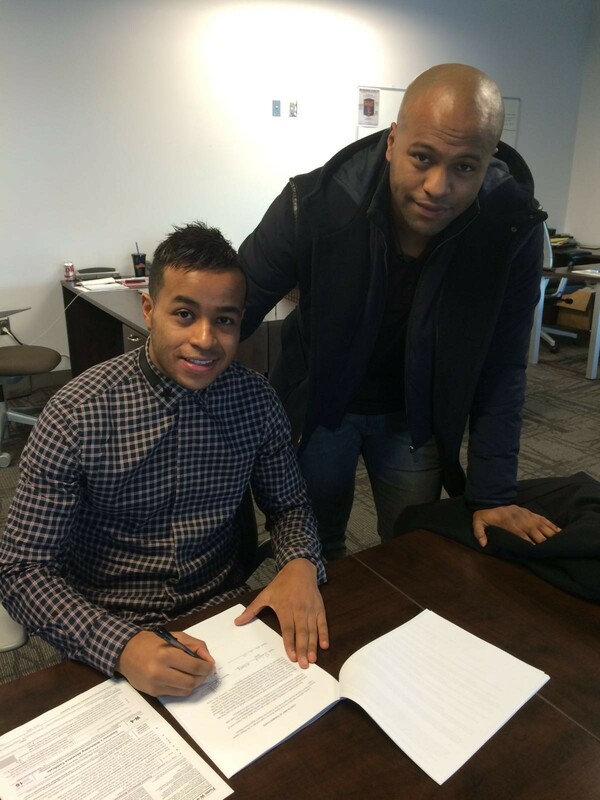 Stone Sports Management ("SSM") is pleased to announce that Canadian National Team Defender Wandrille Lefèvre has signed his second professional contract with Major League Soccer and the Montreal Impact. The Eastern Conference Finalists secured Lefèvre for the 2017 and 2018 seasons with two one-year Options. 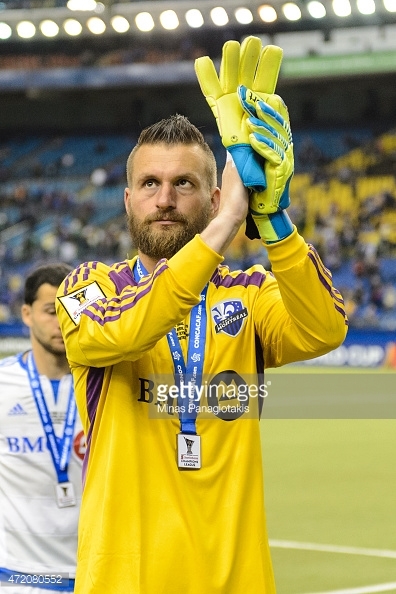 The 27-year old Montreal native initially signed with the Impact from the Impact Academy ahead of the 2013 MLS season and increased his role each season and helped the Impact to the CONCACAF Finals, two Amway Canadian Championships and three MLS Playoff appearances. 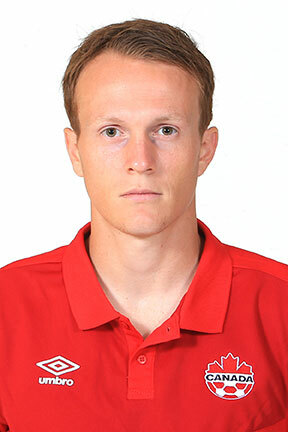 Lefèvre has played in over 60 games across all competitions, and his play was recognized by the Canadian National Team, which selected him once eligibile in December 2015 and will be participating in the January 2017 National Team Camp. "Wandrille has proven to be a capable MLS player and has increased his responsibilities on and off the field for the Impact these last couple of years," remarked SSM's President and USSF Licensed Intermediary Justin B. Stone. "Being out of contract after the 2016 season and possessing a European Passport, Wandrille had several options to choose from and elected to sacrifice money in order to stay with his local club. He is an exceptional person who the Impact and Montreal community will benefit having for these next two years and beyond. I look forward to him continuing his progression with the Impact and extremely happy for him." SSM congratulates Wandrille on his new contract and check out his highlights below! About Stone Sports Management, LLC From developmental to Designated Players, Stone Sports Management, LLC (“SSM”) is a Columbus, Ohio based boutique agency representing football/soccer players domestically and internationally. Led by President and USSF Licensed Intermediary Justin B. Stone, SSM has established itself as a leading North American agency since its 2008 inception by taking a cooperative approach to athlete representation which provides increased opportunities for its clients. After gaining trust from clients representing over 75 different nationalities, Mr. Stone has negotiated more than 140 contracts for his clients with clubs based in Belgium, Canada, China, Cyprus, Egypt, Finland, Germany, Ireland, Israel, New Zealand, Poland, Portugal, Sweden, Switzerland, Thailand, and the United States, including more than 15 international clients to MLS/NASL/USL. 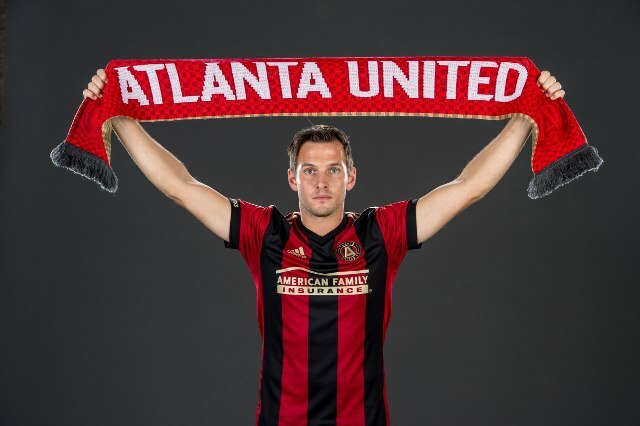 2017 MLS Expansion Franchise Atlanta United FC announced today the addition of German midfielder Kevin Kratz after trading with the Philadelphia Union. Today marked the opening of a half-day trade window which found Atlanta United aggressive with three other additions in advance of this week's MLS Expansion Draft. Kratz joins Chris McCann and Harrison Heath as well as Homegrown Chis Goslin in central midfield. 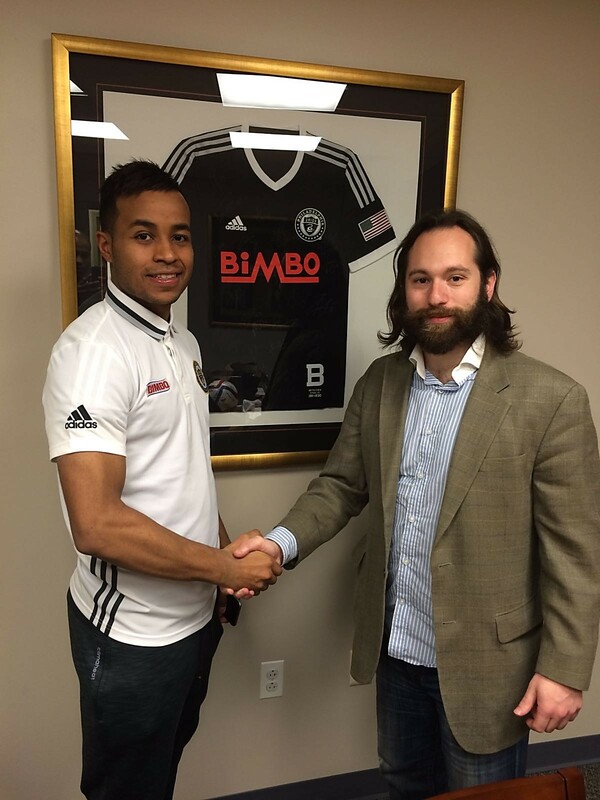 "I want to thank the Philadelphia Union for welcoming me to Major League Soccer," remarked Kratz. "Although it was a short period, the Union players, fans and staff treated me well. I also want to thank Atlanta United for identifying me as someone to help the club in its first MLS season. The project is one I have yet to be a part of and cannot wait to meet all the fans and get settled with my wife and daughter." Kratz joins Atlanta after a 3-month stint with the Philadelphia Union after signing at the MLS Roster Freeze for depth purposes, as the Union looked to make the Playoffs for the second time in two seasons. Although Kratz did not make an appearances, Head Coach Jim Curtin praised Kratz during training. Atlanta United aggressively pursued Kratz after its Front Office members had tracked Kratz for several years. Prior to joining the Union, Kratz played for Bundesliga 2 club Sandhausen SV. His 2015-16 season ended prematurely after suffering a foot injury that was mis-diagnosed. Prior to his injury, Kratz started the club's first 7 games primarily as the #10 Attacking Midfielder, providing two assists, an 818.% passing success rate and ranked Top 15 in the league in numerous categories (Distance Covered, Runs, Passes Completed). "I cannot stress how happy I am for Kevin to realize his goal to play in MLS, and it is more special to do so with an Expansion club" says SSM's President and USSF Licensed Intermediary Justin B. Stone. "Atlanta United is setting the bar very high for expansion franchises and are committing lots of resources and experts around the club. I want to publicly thank President Darren Earles, Technical Director Carlos Bocanegra and Director of Soccer Operations Paul McDonough for their professionalism throughout the process. I look forward to Kevin wearing black, gold and red and having a successful career in Atlanta." The 29-year old German will bring his experience and versatility to Atlanta. With over 275 professional games in Germany, Kratz can play anywhere in midfield and is known for his passing/technical ability, high work rate and fearless taclking ability. He can use both feet well and often takes free kicks and corner kicks for his club. Check out his highlights below and SSM wishes Kevin well with his new club! 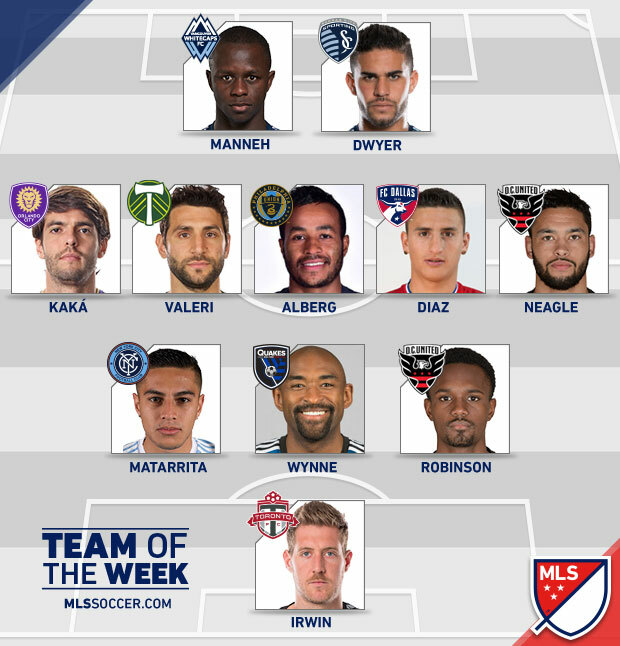 Stone Sports Management would like to congratulate Roland Alberg on his impressive performances this week earning him MLS Player of the Week. The Dutchman who arrived in Philadelphia at the start of the season scored 4 Goals, created an own-goal and created several other chances in two league matches. His Hat-Trick against the Chicago Fire was the club's second ever and first since Sebastian Le Toux's home debut in the Union's first season. Fantasy owners were pleased as Alberg was Round 15's "surprise star" with 161 Points. What was even more impressive during his week was that it was on the brink of scoring two goals, including the game-winning free kick in stoppage time, against the Harrisburg City Islanders in the US Open Cup, which earned him 2016 US Open Cup Round 4 Player of the Round. Check out Roland's goals, assists and other actions against the Chicago Fire and Vancouver Whitecaps and congrats once again to Roland! Stone Sports Management (“SSM”) is pleased to announce Miami FC’s signing of veteran defender Adailton Jose Dos Santos Filho (“Adailton”) to a 2-year contract with the 2016 NASL Expansion Franchise. The 32-year old Salvador, Brazil native most recently played with Major League Soccer’s Chicago Fire after a successful career in Brazil, Europe and Asia. Adailton obtained his US Green Card late in 2015 and will count as a domestic player. “It is such an honor to have joined Miami FC and to play for Alessandro Nesta who for me is one of the best, if not the best, player at my position in the last two generations,” says Adailton. “Last year was a great learning experience to understand North American soccer after playing in Brazil, China, France and Switzerland. I ensure to my teammates, the fans and coaching staff that I will bring hard work, discipline and a winning mentality to the club and do my best to help the club to make the NASL Playoffs and ultimately win the NASL Soccer Bowl." Adailton joined the Chicago Fire after a six month stint back home in Brazil with Esporte Clube Bahia. He acclimated well scoring a goal and earned Man of the Match versus the Philadelphia Union in his third game with the Fire. 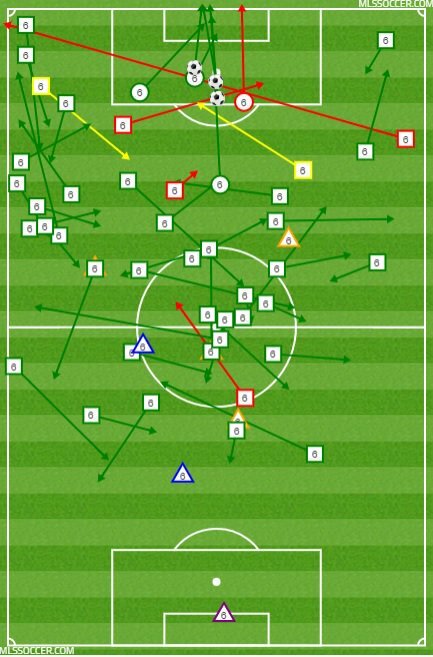 Adailton started 20 matches and was statistically the best central defender on the Fire as the club gave up only 23 goals in the 17 MLS matches he played while giving up 35 goals in the games that he did not. An unfortunate Sports Hernia injury that developed two games prior to his last ultimately shut him down for the season even though he came back healthy enough before the last game of the year. Prior to joining Bahia, he spent the previous five years in Switzerland with Swiss Super League side Sion FC (with two loan stints in China with Chinese Super League Henan Jianye and also with FC Chiasso in Switzerland). At Chiasso, Nesta’s former Italian National Team teammate Gianluca Zambrotta coached Adailton and learned to speak Italian, along with his ability to speak Portuguese, French, Spanish and English. Adailton boasts leadership qualities having first Captained the Brazilian U20 World Cup team helping them win the 2003 World Cup in Dubai. Brazilian giants Santos FC, Sion FC and FC Chiasso also elected Adailton Captain. French Ligue 1 side Stade Rennais signed Adailton for three years after his impressive U20 World Cup and after he broke through as a first team regular at his local side Vitoria SC. He then returned to Brazil with Santos FC signing for three years playing alongside Brazilian Superstar Neymar whom he shares a passion and friendship giving back to the Brazilian community through Social Projects and Charity. “Adailton is one of the most respected, well-liked persons that I have had the pleasure of working with, and I am extremely pleased that he has agreed to continue to play in North America with Miami FC after having enticing opportunities to return home to Brazil and in the Middle East,” says SSM’s President and Players’ Agent Justin B. Stone. “Adailton did not get enough credit last year for his performances in MLS due to his season ending injury and the overall team performance, but his quality will be well apparent once he gets settled with his new club and city." This is SSM’s second client to sign with Miami FC after defender Mason Trafford signed earlier in the week. It is expected that both players will compete for starting positions and likely will line up next to each other in central defense or with Trafford employed on the left side with Adailton in the middle. “I would like to echo my comments earlier in the week and thank Miami FC (Owners Riccardo Silva and Paolo Maldini, Technical Director Mauro Pederzoli, VP of Operations Darren McCartney and Head Coach Alessandro Nesta) for their patience and persistence securing Adailton’s services.” says Justin B. Stone. “I am confident that the club will be one of the best defensively in NASL, and the club is getting two outstanding persons." Click HERE to see Miami FC’s 2016 NASL Schedule and follow Adailton on Twitter: @adailton_filho. All the best to Adailton with his new club! Stone Sports Management would like to congratulate Montreal Impact Central Defender Wandrille Lefèvre on starting against the United States in an exhibition at the StubHub Center in Los Angeles, California, After making his Canadian National Team debut against Ghana in Washington, DC, Lefèvre helped shut down Jozy Altidore and the United States Men's National Team before being subbed at half-time. 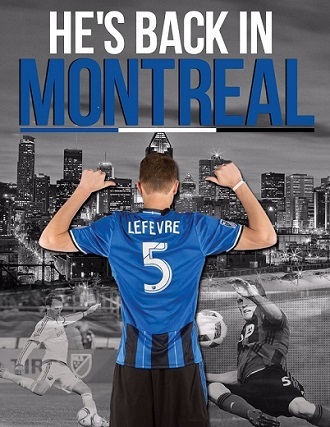 Lefèvre will join the Impact during its pre-season in Montreal and Florida before starting his fourth season with the Impact! Stone Sports Management (“SSM”) is pleased to announce German and US Permanent Resident Kristian Nicht has signed with Minnesota United. The 33-year old netminder is one of the most experienced Goalkeepers playing in North America having played in over 350 professional matches that spans the German Bundesliga, Norwegian Tippaeligaen as well as all levels in North America. Nicht joins the Loons from Indy Eleven where he helped post a winning record in 2015 when between the goal and is the club’s all-time leader in games played with 50. Indy Eleven made Nicht the club’s first-ever signing, and Nicht had an eventful 2015 with a loan stint and permanent transfer to the Montreal Impact, playing in front of 62,000 fans against Club America in the CONCACAF Champions League Final. In 2014, he established an NASL Modern-Day record for consecutive minutes without conceding, was the only NASL player to play all minutes during the season and was named Player of the Season. “After two eventful years with Indy Eleven playing in front of sold out crowds, I am honored and excited for this opportunity with Minnesota United FC,” said Kristian Nicht. “Minnesota has consistently been one of the best teams in the NASL since I came to the United States. The club’s core is established and will work hard to integrate myself with my teammates, coaching staff, club philosophy and the community. I look forward to getting started in pre-season and push everyone to put ourselves in a position to win trophies." Nicht bursted on the North American scene with the Rochester Rhinos securing a record six straight clean sheets and would go on to win USL Goalkeeper of the Year and USL First Team honors. His European accolades including winning promotion with Alemania Aachen in 2005-06, winning the GK of the Year Award as well as competing in the UEFA Europa Cup with Norwegian club Viking FK. "Kristian is one of a few Goalkeepers who has played with clubs based in MLS, NASL and USL,” remarked SSM’s President and Players’ Agent Justin B. Stone. “Along with this domestic experience, his fantastic international experience having played abroad at the highest levels in Germany and Norway gives him unique qualities that will help Minnesota United. I look forward to seeing Nicht excel in Minnesota and create a competitive environment with Coach Carl Craig’s goalkeepers." “Kristian is literally a massive physical presence and we've been on the wrong end of his excellent performances numerous times, so we were happy he was available,” said Minnesota United Head Coach Carl Craig. “We were looking for a fellow with experience and one who can potentially push Sammy for the number one spot, so he fits the bill." “After spending all but six months of my professional career in Holland, I wanted to find a club in a new competition that would challenge me on and off the field,” reflected Alberg. “I have studied MLS for the past couple of seasons and have seen the competition grow tremendously. 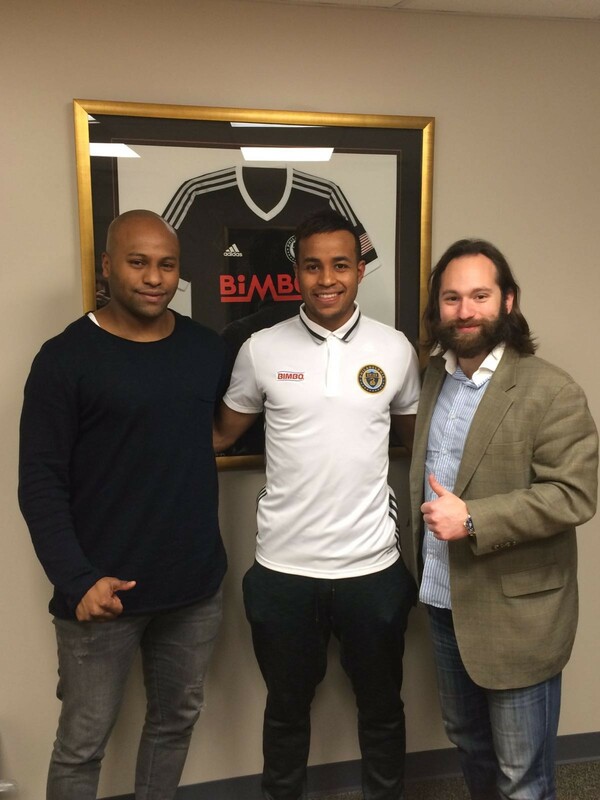 After visiting Philadelphia and meeting with [Sports Director] Earnie Stewart, [Technical Director] Chris Albright and [Head Coach] Jim Curtin, it was clear that joining the Union gives me the best chance to succeed and develop. I know it will not be easy and take lots of hard work on and off the field, but I am fully committed to helping the club and my teammates achieve its goals and look forward to meeting the fans, especially the Sons of Ben!" Negotiations started in January after Alberg was within six months of his ADO Den Haag’s contract expiration. 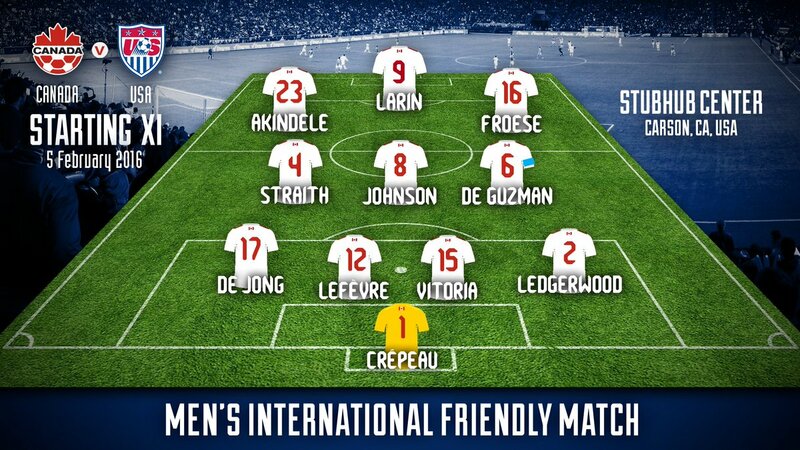 Earnie Stewart was familiar with Alberg, as the former U21 Dutch Youth International’s formation occurred at Stewart’s last club as Sports Director, AZ Alkmaar and had played six matches against the club socring 1 Goal and 1 Assist. Alberg jumped onto the professional scene at age 20 signing a 2-year contract with Excelsior Rotterdam scoring 8 Goals, 2 Assists in his first full season and secured the club’s Player of the Year, but the club was relegated. He continued his scoring ways in the Jupiler league with 6 Goals, 2 Assists in 20 games before being transferred to the Turkish Super League on a 3 ½-year contract. After the Turkish Super League changes its rules limiting foreigners, he returned to Holland with ADO.